Submit the contact information of the group. … AND WE’LL HANDLE THE REST! Follow the steps of the bidding process, and may ask for your input on how to make this conference memorable. Present Owensboro to the key decision makers. Coordinate any site inspections and hotel arrangements. Provide brochures and other marketing material to help sell the region to the planner. Once the group has selected Owensboro, we will work with the area hotels in coordinating local host requirements. Provide promotional brochures and giveaways at the previous year’s meeting. 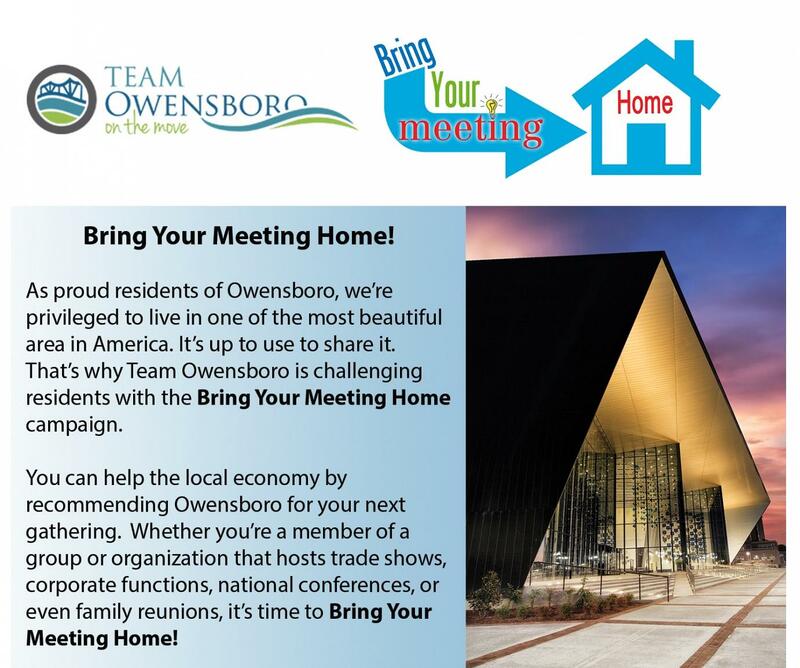 Create a press release about your group coming to Owensboro. Contact the Owensboro Convention Sales Team at 270-687-8800 or email at sales@owensborocenter.com.